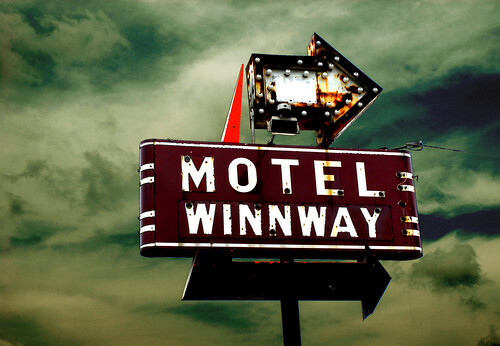 “Winnway Motel at 1717 MLK Blvd. & Colonial,” originally uploaded by crowt59. Dallas-area photographer Terry Shuck says the motel advertised in this striking photograph is still open for business at 1717 MLK Blvd. The MLK in Dallas crosses Malcolm X Blvd as it runs east to Fair Park.